Books, books, books. I wish I could spend all my time reading books. I have quite the tower of them, you know, and I'm in desperate need of another bookshelf. Last year I made the goal of reading 15 books in 12 months, and I surpassed it with ease! This year I set the goal of 100 Books/Plays in 12 Months and I'm just over the halfway point. Woohoo! I don't think I'll break 100 (#gradschool) but it certainly lit a fire under me to get me going. 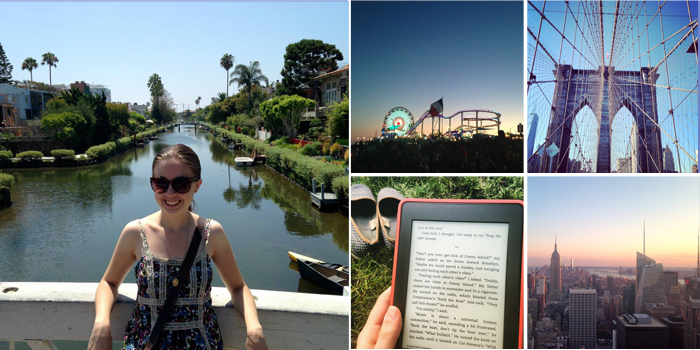 Saturday, Sept. 26: What's on your to-read list, what are you currently reading, and what have you recently read? 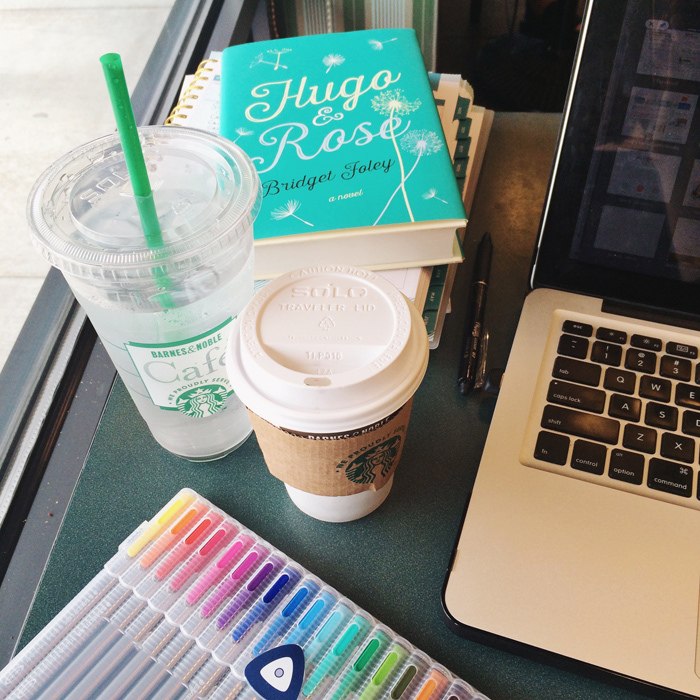 Simply Tuesday is another sweet read speaking to my soul, and I want to journal my way through it again. I love just about everything Emily writes, and it was no exception. 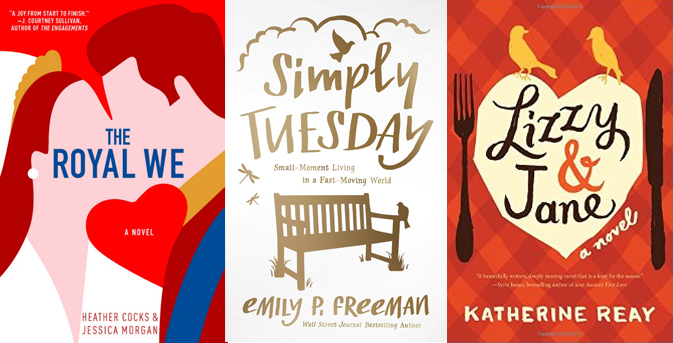 Lizzy & Jane was a summer read that swept me up into the world of these two sisters, and it just so happened to be set in Seattle which was oh-so-fitting. A great read, chock full of beautiful imagery and a winding tale of sisterhood, you should definitely check it out! Wild in the Hollow is a sweet balm for my soul! 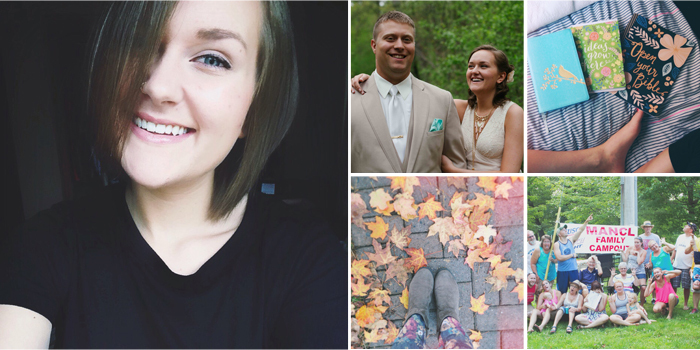 Amber's writing pulls you in, and her truth-telling is bold and encouraging at the same time. I am only a few chapters in but I know it's going to be a rich read all the way through. 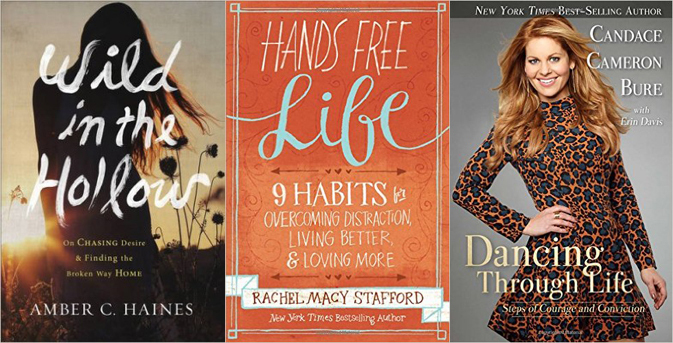 Hands Free Life is by the author of Hands Free Mama, a book that caught my eye but wasn't quite right for my season. I started reading this on the flight to The Influence Conference, and I hope to pick it up again this weekend. Goodness knows a hands free life is what I need and what I fight against, too. I'll let you know how it turns out! I was sent Dancing Through Life this summer to read and review, and I can already tell you it's going to hit the spot. As a performer myself, the challenge to hold to your values and morals, and to speak them confidently, is quite difficult in the world of entertainment, and I have looked up to Candace Cameron Bure for quite some time in the way she appears to do this well. I can't wait to dig deeper into her story. I first heard Jen Hatmaker speak at Hope Spoken, and man is this woman hilarious! She's got a flare for the dramatic and is so relatable, but she speaks truth and the Gospel with a fiery passion that is so inspiring. I pre-ordered For the Love this summer and it's next on my list of things to read. I have to tell you, I don't know much about Girl Meets Change, but the title and tagline had me in a split second. I feel like I have been in a constant state of transition for the past two and a half years, and that it is going to continue for some time, and I want to be a woman who handles change well. You know I'm all about savoring your season, and hopefully this will encourage me along the way. I'd seen The Selection Series floating around for a while, but it wasn't until Victoria recommended them that I jumped on the train (and put to use a great B&N coupon). The last fiction series I picked up was Divergent, and I'm hoping to disappearing into this world in the evenings before bed instead of social media. There's at least 3 (maybe 4?) in the series, so hopefully it will tide me over for a while. Your turn. What are your reading recommendations? I have playlist after playlist for each season, holiday, even month of the year. I can go back through 2013 and have a flood of memories wash over me as I click through each song with each month. 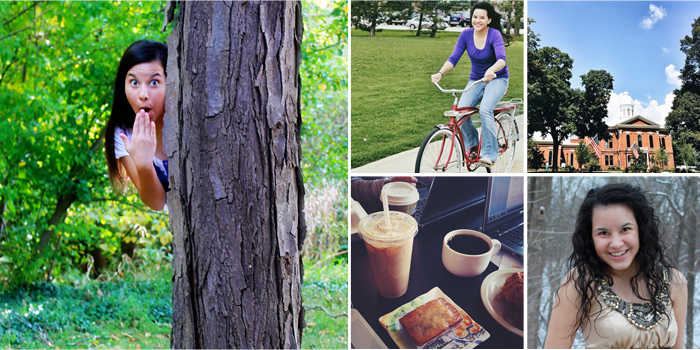 So, naturally, I had to include music in the Blog-tember Challenge. I thought it would be a different mix, but right now these three worship songs are hitting the spot, and I can't wait to see what you think of them! Friday, Sept. 25: Three songs you are connecting with right now. I trust it all, I trust it all to you. I first heard this song over the weekend at The Influence Conference and Y'ALL! It broke me down and blew my mind. I want to sing it out at the top of my lungs each day! The lyrics are so poignant, so this season, and so what I want my battle cry to be. Let this song sink in. You won't regret it. We sang a few songs from the Housefires II album when I was in Seattle this summer, and I simply could not get this one out of my head. My season of grad school so often feels like a dry place, and I'm so weary and needing Jesus, that this song speaks it out when I cannot. It echoes His promise that those who hunger and thirst for righteousness shall be fed, and that all we have to do is draw near to Jesus. Yes please! I have been looking forward to this album for weeks! I went to Antioch Community Church in college and was consistently blessed by the worship music they put out, and this album is no exception! Go, run, get it NOW! In fact, get every album ACC has put out, especially Forever Sound Our God Comes. You won't want to miss them! This song in particular speaks truth straight into the lie I so often believe that God has good things for other people and not for me. It's NOT TRUE AT ALL an He IS good and HAS BEEN good and WILL BE good and faithful to ME too! What about YOU? What music is speaking to you today? Today's the day! 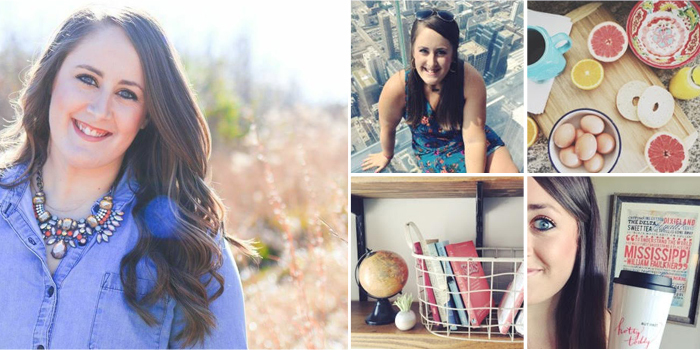 It's time to showcase a friend or fellow blogger who you invited into your corner of the internet for the day and I cannot wait to share what Katie sent my way! Enjoy! 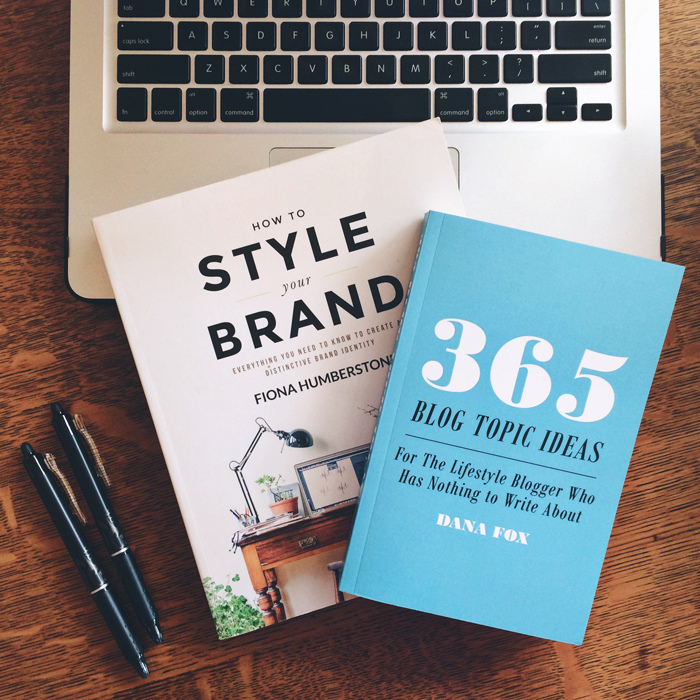 Wednesday, Sept. 23: Grab a guest post. 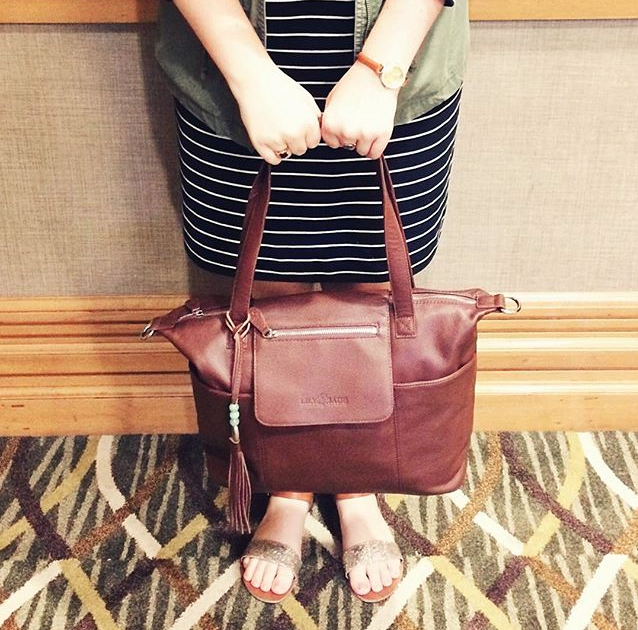 Recruit a friend or fellow blogger to share on your space for the day. Hi, friends! If you're familiar with my blog or Instagram at all, you know I am a BIG fan of living an inspired life, but I also know that when you're facing the normal day-to-day grind, it can sometimes be tough to find and see that inspiration and live in an inspired way. I love how this journal works, as well as the idea and science behind it. You start the day by listing what you're grateful for, three ways you can have a great (and inspiring!) day, and then one affirmation statement for your day. It brings such a positive focus to my mornings and gets me thinking right off the bat about all the good stuff in my life and also how I can appreciate and live my day to the fullest. 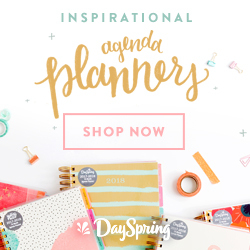 There's also a section you fill out at the end of the day, capturing three amazing things that happened and one positive way you could have made the day even better. I know, another journal, but I'm a total journal addict, so what did you expect?! 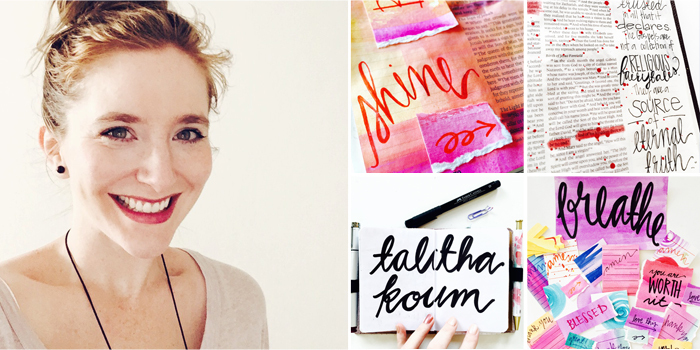 ;) Lara has created such an amazing product, with space for writing scripture and prayers each day. 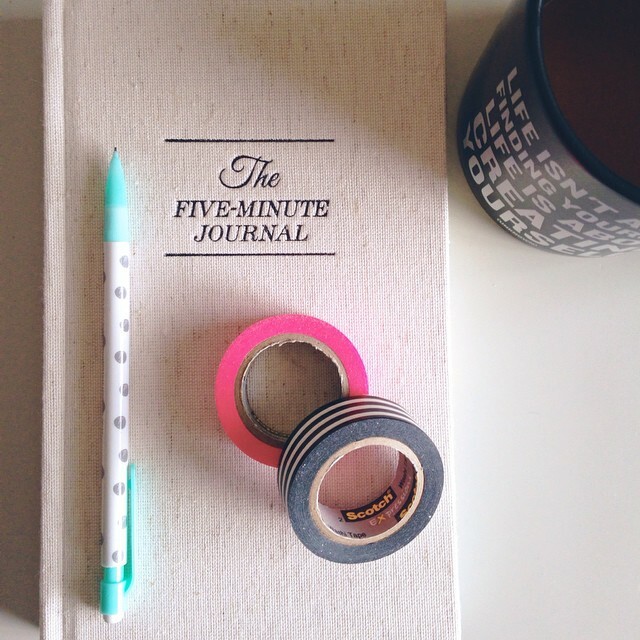 I love how approachable this journal is and how easy it is to incorporate into your daily routine. It also provides some focus and direction for my quiet time, which I really value. Friends, I feel so much more uplifted and inspired when I am filling my mind and heart with good stuff. The weather was gorgeous today, and I listened to my new Ginny Owens CD to and from work, as well as on my lunch break. What a difference it made! Even if you can only listen for a few minutes each day, I really believe it will have a powerful effect on your heart and spirit. Looking for some new tunes? 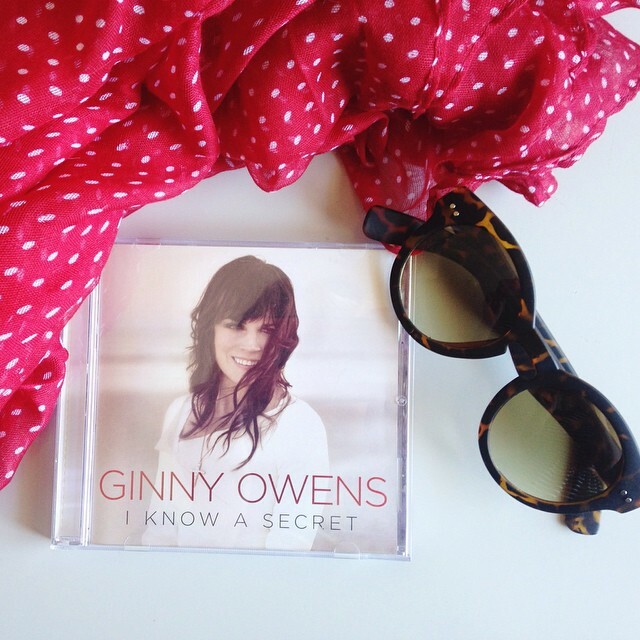 Lately, I’m loving this album by Ginny Owens and also I Am They's self-titled album. I'm praying that whatever your day holds today, you'll be blessed with a little joy and inspiration along the way! Isn't Katie just lovely?! I have the Write the Word journal and cannot recommend it enough, and I absolutely adore what she said about keeping inspiring phrases close and in sight! They make such a difference! Now it's YOUR turn! 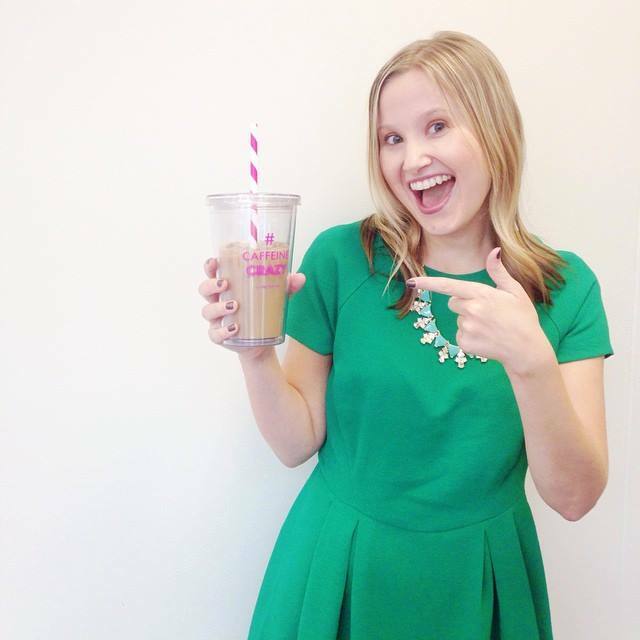 Who is your guest blogger today? Tuesday, Sept. 22: Get creative! Sketch, paint, dance, play music, whatever then give us a glimpse. For now, enjoy one of my latest pages from my journaling Bible journey! Like I said, if I get a little free time this afternoon, I hope to work on my Project Life album for 2015. Be prepared for pages from that to appear oh so soon! What about you? How did YOU get creative today? In the Pinterest era we are living in, pretty quotes come and go and bounce around the internet at rapid fire. I have pinned a dozen or so on my Making 2015 Happen board, and I try to actually put them into action throughout the year. Ages and ages and ages ago I had a Xanga (circa 2005) dedicated to cute quotes and sayings, and I carried them around in a binder at school. The obsession continues and I can't wait to read your favorites! Monday, Sept. 21: A favorite quote/expression and how it has impacted you. We also live in a time where people's lives, successes, and dreams are broadcast for all to see. 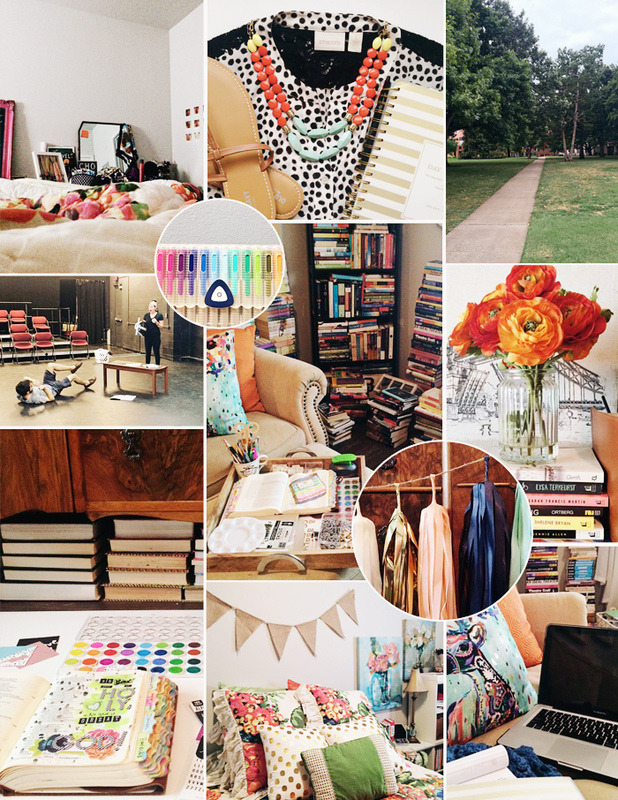 Instagram is alight with pretty photos from fashion bloggers, entrepreneurs, stay at home moms, and everyone in-between, and I can almost guarantee we each have a place we want to go that is different from where we are. Whether it's the single gal who wants to be married, or the mom who is working furiously at nap time to make that business happen, our future-minded selves can be sucked into the comparison game SO EASILY. It's a vicious cycle that is life-giving to no one. Another popular/familiar quote is that "Comparison is the thief of joy" and y'all, it's SO TRUE! Comparison edges out gratitude and contentment, replacing it with envy and self-doubt and a slew of other tactics made to deter us from celebrating life fully where we are. Everyone is on a journey, and each journey is unique with its twists and turns and the paths the Lord has for you. It's important to remember especially when we are looking at those around us. 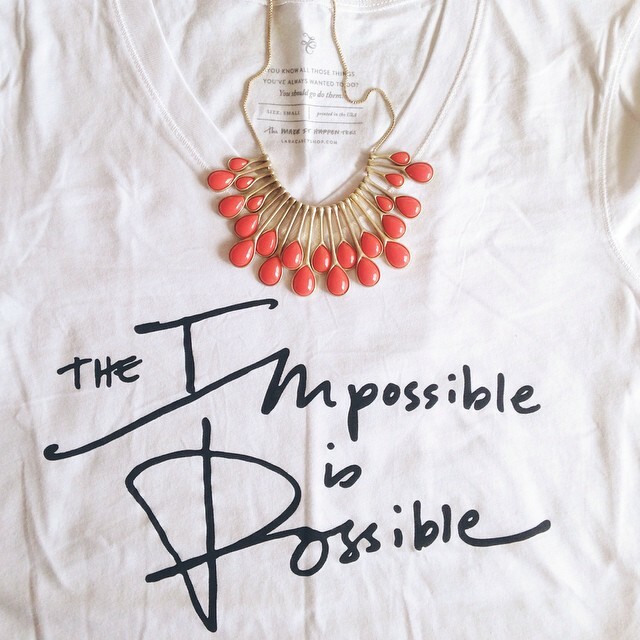 We each have an idea or definition of where we "should" be and by when, but life doesn't necessarily work that way. I try to remember that everyone has to start somewhere, and we really don't know what it took a person to get where they are. Celebrate the small beginnings y'all. Everyone who got anywhere had to start somewhere. What about you? What quote is really speaking to you these days? When I think about the best days of my life, a handful come to mind. The day I realized I was moving to Seattle, meeting my best friend in the hat room at Baylor, welcome week and line camp freshman year, just to name a few. But today I'm revisiting arguably the best day that still lives vividly in my mind. Saturday, Sept. 19: Tell us about one of the best days of your life. Your 21st birthday is one of those milestones you just can't miss. It is also one you often can't forget. Mine was certainly one for the books and I loved every minute of it! I have always loved being a summer baby (except for the fact I never got to bring cupcakes to school on my birthday...) and when I found out we'd be in Paris for the big 2-1, I was pumped to say the least! Being in a fantastic city with some of my favorite friends meant it would be epic indeed. 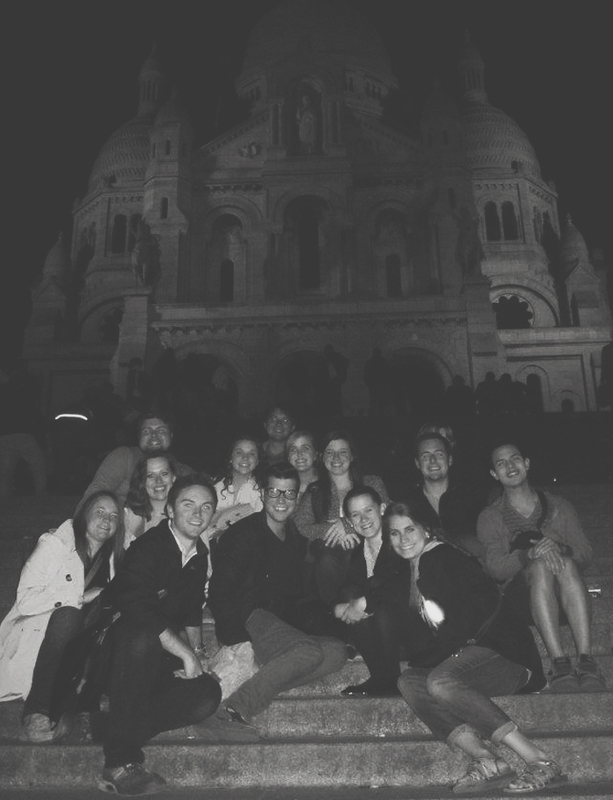 We decided to kick the night off at midnight, and somewhere around 11:00pm the gang gathered together and took the Metro to the steps of the Sacre-Coeur Basilica. It is a gathering place for all kinds of artists and musicians during the day, and well into the evening, and it looks out across the rest of the city. We were actually in the elevator on the way up when it struck twelve. Once everyone made it up, they broke out the champagne and we gathered on the steps to sing and celebrate. I loved getting to celebrate with these incredible people! They sure know how to make a girl feel special. However, the most special guests of the evening are not pictured. To the right lounged a very... intoxicated man who insisted on singing with us, loud and off key. He was also convinced that it was Jessica's birthday (whoever that was) and shouted it out whenever the song was sung. The second featured artist was an Asian man in full-out Japanese warrior garb with a guitar in tow. He serenaded me with a unique version of Happy Birthday, and Bailey sounded far more like Pei-Wei than anything else. It became my nickname for the rest of the trip. I still have several friends that call me Pei-Wei to this day, thanks to him. He also did a particularly lively rendition of Pretty Woman and would not leave our group for quite some time. These girls were definitely my traveling buddies on this trip. 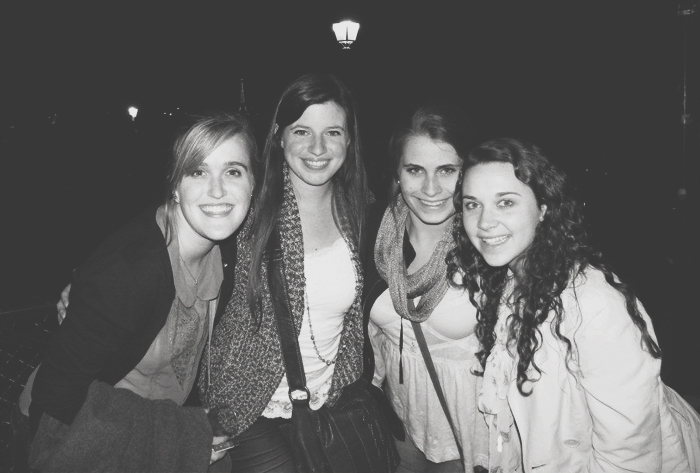 From exploring Versailles to gelato-hopping in Paris (and flagging down our favorite crepe maker, crying out in the street when he closed his doors just as we approached... surprise, us theatre majors are a tad bit dramatic...) Kelsey, Samantha and Courtney made everything 10 times more fun. I could not have asked for a better bunch to celebrate with. We wandered around the Basilica, singing and being the typical tourists that we were, and may or may not have trespassed a little to get these shots (you can faintly make out the Eiffel Tower in the background, just above Kelsey's head). But our late night meant we missed the last train to our hotel, so the fourteen of us paraded across Paris at 1:00 in the morning, only adding to the adventure. 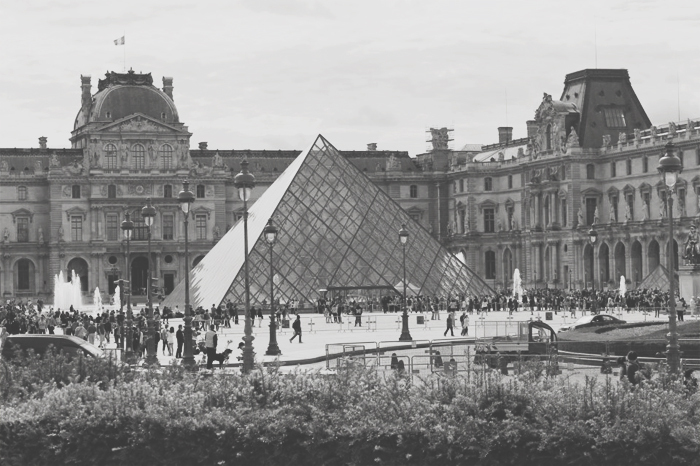 The Louvre was followed by a trip to the Musee de l'Orangerie, which is just across the courtyard. I popped in my headphones to some of my favorite movie scores and moved through the galleries on my own this time. It was one of the most memorable experiences of the trip. The Lord speaks in mysterious ways, and looking at the stunning water lilies painted by Claude Monet gave me so many new dreams and revelations about things the Lord was teaching me during that time. I didn't want to leave. Eventually the rest of the group appeared and we decided it was time to head to --oh yes!-- the Eiffel Tower. I told you, the day just kept getting better and better! We made our way across town only to discover there was a 2 hour wait for the elevator to the top. The stairs to the second level, of course, had no such line. We chose the stairs, and 500 steps later regretted the decision. It was actually 700 steps to the second level, and by golly we made it, but only after a break on level 1. Once you're on the second tier you can hop onto the elevator to the very top, but Brian and I were hesitant. We're not the biggest fan of heights. Thankfully someone talked us into it, and though I was shaking and quaking I agreed. We squeezed onto the tiny top level with dozens of other tourists, carefully peering through the fencing to look out over the city. It was breathtaking. Perhaps the funniest moment of the trip took place moments after we made it to the top. Brian had been joking that he wanted to stage a proposal, just to see what the tourists would do. We thought he was going to do it to Kelsey or Courtney, but one moment we were rounding a corner and the next he turned to my friend Kim, who was totally unsuspecting, and got down on one knee. She immediately started laughing and freaking out, which to any passers-by looked like a normal reaction to a proposal. The rest of us were dying laughing and cheering, really playing up the scene, our cameras out and everything. Kim was laughing so hard she started crying, again making it the perfect scene for the tourists surrounding us. Even people we didn't know started taking pictures and cheering! In her hysteria, when Brian asked "Kim, Kimmy Kim, Kim, will you please marry me?" she nodded and everyone let out a shout of joy! There is a video on someone's phone and I really think it needs to reappear somewhere. One of the girls was wearing a fake engagement ring and had given it to Brian, so the scene was complete. I have not laughed that hard since. We ended the day with dinner at an Italian restaurant nearby, then stopped at a place called Sunset Boulevard near the hotel. They sang to me at least twice (always to Pei-Wei, never more to Bailey), and the day came to a close. Like I said, this was a birthday for the books, and certainly a hard one to top. What about you? What was one of your favorite days? Be sure to follow along on Instagram @baileyjrobert and Twitter, also @baileyjrobert! Thursday, September 17: Just for fun, your latest obsession. What can you not get enough of these days? 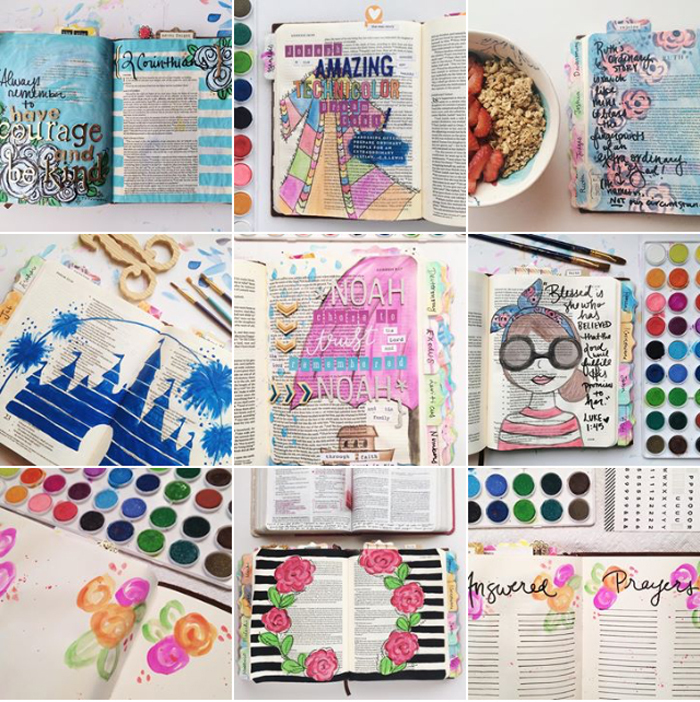 If you follow me on instagram, you may have noticed my recent obsession with Bible journaling. I bought my journaling Bible in the spring of 2014 with every intention to simply write within the wide margins my study notes and meaningful quotes. To be quite honest, I wrote on a handful of pages then it sat untouched in favor of my NKJV Women's Study Bible or the YouVersion app on my iPad. It wasn't until this spring that I took another good look at the journaling Bible, this time with fresh eyes. 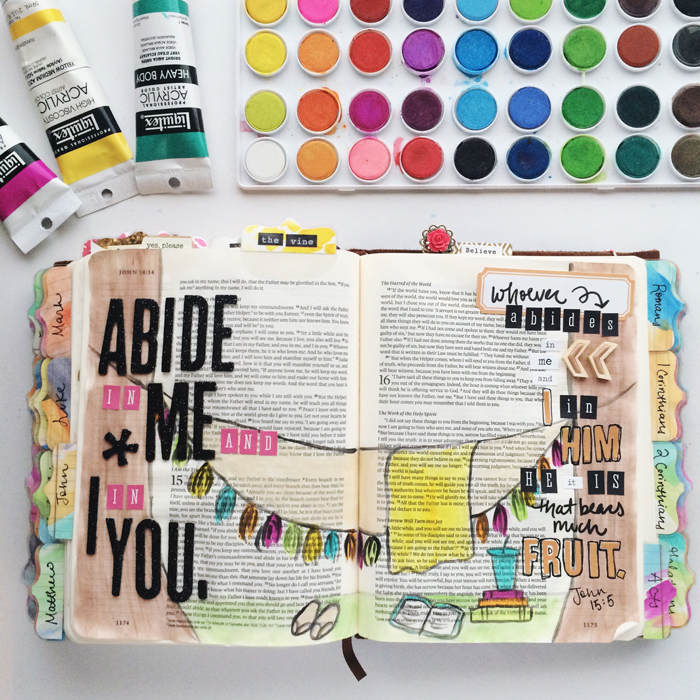 I had seen a glimpse of Shanna Noel's art journaling with scripture and was curious, then I found myself putting pen and paint to paper in my own journaling Bible. It was thrilling, eye-opening, and so refreshing. 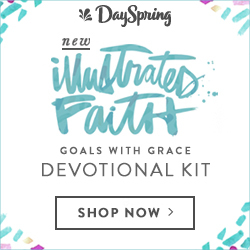 The Illustrated Faith community soon took off, and I knew I had to be part of it. I used to say I couldn't draw a straight line or a stick figure to save my life, but after a little practice and a lot of patience my love of painting and sketching has grown immensely! Artfully connecting with scripture is so stress-relieving and really breathes new life into the words I've read for most of my life. I get a lot of questions about why or how I feel it is okay to paint over the scriptures, especially when some of the images cover them up entirely. I absolutely get where people are coming from when they asked this, because I was hesitant at first, too. But this Bible is specifically for artfully connecting with and responding to scripture. 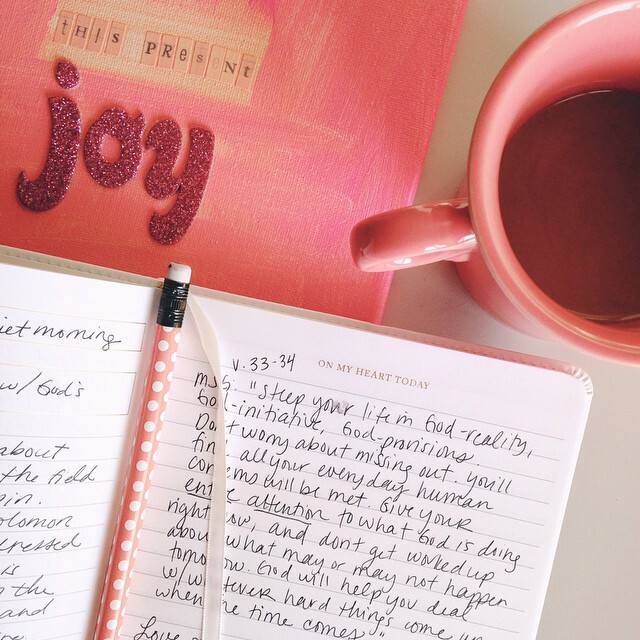 I have another Bible and other resources for digging into scripture in my daily study, and the journaling Bible experience is a companion to that. I do believe the Word of God is His gift to us, relevant and active in our lives today, and I want to honor it and obey it. But putting paint to paper has infused the Word with a new life for me and that has made such a difference! 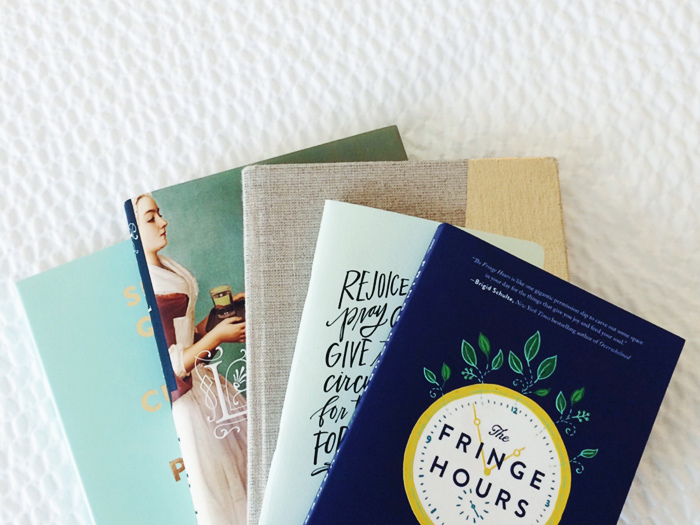 To find my favorite journaling Bible resources, go HERE. To follow along my journey of journaling through scriptures, go HERE. PS. 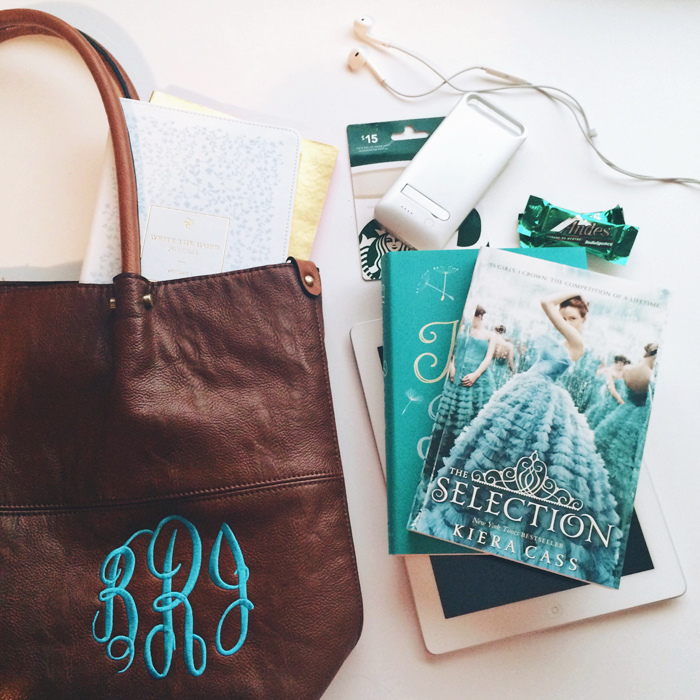 I have a super fun journaling Bible giveaway planned for the beginning of October! Be sure to follow along so you don't miss it! What about you, friends? 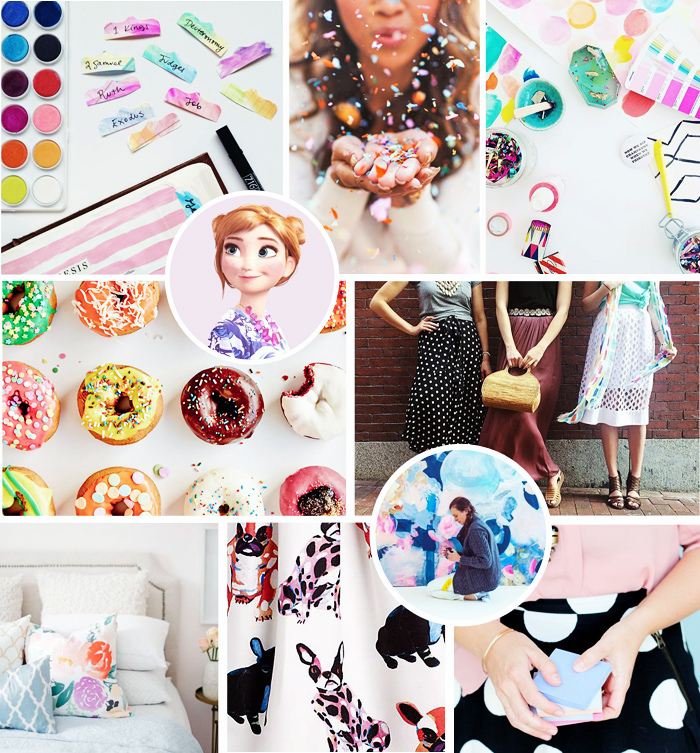 What are you obsessed with lately? It's the beginning of another week, y'all! I hope everyone's weekends were restful and pleasant, and that you're geared up ready to go! Saturday I did a whole lot of nothing, at least nothing particularly productive, other than cleaning my apartment, crafting, and watching plenty of Bones. The real work happened on Sunday, including prepping this week's posts. I'm headed out of town on Thursday for The Influence Conference, and I have some fun surprises inshore for you along with that! Now onto one of my FAVORITE topics! 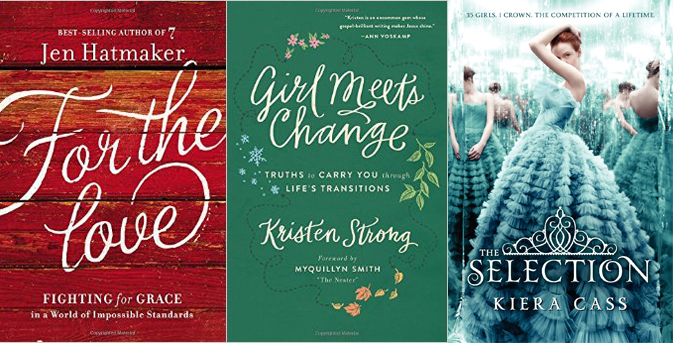 Monday, September 14: The 5 books that have impacted you the most. There you have it friends! The five (six... seven... eight?) books that have impacted the most! PS. Didn't you love my little rant about Shakespeare? Haha sorry y'all. But really though, GO SEE SOME! And I know I sounded suuuuuuper Southern talking about Mardel, one of my favorite places EVER, but what can ya do? Well, I could've re-recorded the video, but that takes too much effort ;) Now it's your turn! What about YOU? What 5 books have impacted you the most? Seasons come and seasons go, and sometimes we land in seasons that are difficult to handle. I'm not just talking about the final days of summer lingering while we wish for fall. There are days when I love my season: being in grad school, being single, having my own place, getting to travel and be creative on a whim. Then there are days it's not as much fun, hard even. On those days, I like to make something bright and tangible to remind me to find the little joys and light in the hard places. Today's prompt came out of one of those days, wanting to put a fresh spin on things to better #savoryourseason. 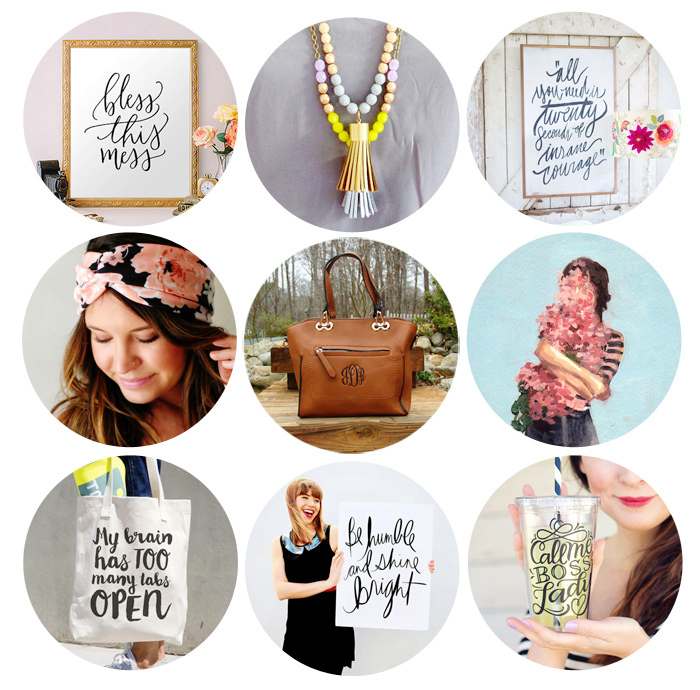 Sunday, September 13: Create a collage or inspiration/mood board for this season in your life. Bible tabs. Confetti. Desktop. Donuts. Anna. Girlfriends. Headboard. Printed skirt. Giant painting. Stickynotes. What about YOU? What does this season look like to you?